This time last year I wrote that there were five take away points from the 2017 Conservative Party Conference. These were that the party needed to develop a more compelling policy offer beyond Brexit; that politics was becoming more polarised; that the next generation of MPs was becoming more assertive; that the organisers needed to be bolder and experiment with apps and technology to make the conference more engaging; and that it was difficult for the Prime Minister to break through the narrative of a leader struggling to assert her authority. Twelve months later, some things have changed while others have stayed the same. Like last year there was little on offer in policy terms, beyond worthy but dull changes to local government financing for housebuilding, a stamp duty surcharge for foreign house buyers, and the proposal for a Festival of Brexit to mark our departure from the EU. Other announcements, such as a regulatory clampdown on online platforms to protect children from the dangers of social media, and tighter immigration requirements for EU nationals after Brexit, were largely reiterations of existing policy. This was despite a lively fringe which saw considered debate on issues from housing through to automation, AI and the future of work. Indeed, the contrast between the main hall, where ministerial speeches were delivered to audiences less than a quarter of their capacity, and the popularity of fringe events like the Brexit Central rally and Boris Johnson’s sole appearance to outline his alternative to the Chequers plan, showed that there is a desire for substantive policy debate amongst members and no shortage of bold ideas. The fringe also saw the 2015 and 2017 intake of MPs continue to assert themselves. James Cleverley, Tom Tugendhat, Paul Scully and Rushi Sinak offered thoughtful contributions, while Liz Truss made a shameless pitch to a more youthful, optimistic and libertarian electorate with an eye on a future leadership election. There were queues out the door for the Scottish Conservatives’ reception with Ruth Davidson, something that would have been unthinkable five years ago. Sajid Javid and Jeremy Hunt, the two likely frontrunners to replace May, avoided any serious gaffes. However, apart from Attorney General Geoffrey Cox, whose barnstorming speech from the main stage would likely not translate so well outside of a gathering of Tory activists, there were no new breakout stars or fresh faces that could be presented as the future of the party. There was an attempt to offer a more prominent role for activists by giving them opportunities to speak from the main platform. Unfortunately, the new conference app was overshadowed by a security glitch and did little other than replicate the information available in the printed handbook. In future years further work could be done to incorporate social media streams, polls and surveys to create a more interactive experience. 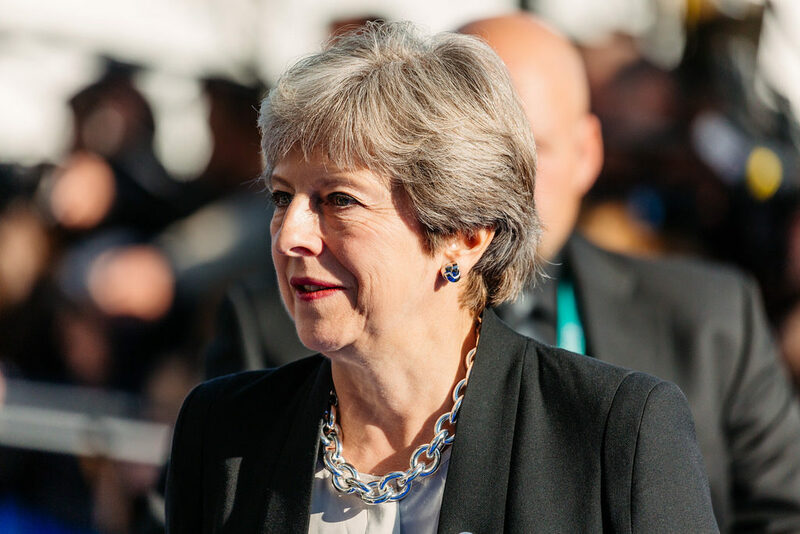 In the run up to her speech, the pressures facing the Prime Minister were the same as in 2017. She had to manage the divisions over her approach to Brexit, reassure the wider party about her competence, and dampen speculation of a leadership challenge. After the debacle of last year, which saw her bedevilled by a hacking cough and interrupted by a protester, she probably would have accepted getting through the speech without any major hiccups as a good result. The surprise over her dancing onto the stage and confident delivery therefore meant that a relatively safe and unremarkable address was seen as a big triumph. This has given her a short respite from constant media criticism. It also made James Duddridge, who called for her resignation less than an hour before she took to the stage, look ratty and disloyal. In summary, this was a successful but forgettable conference – one that did not resolve any of the tensions within the Government or the party as a whole, but did not exacerbate them either.